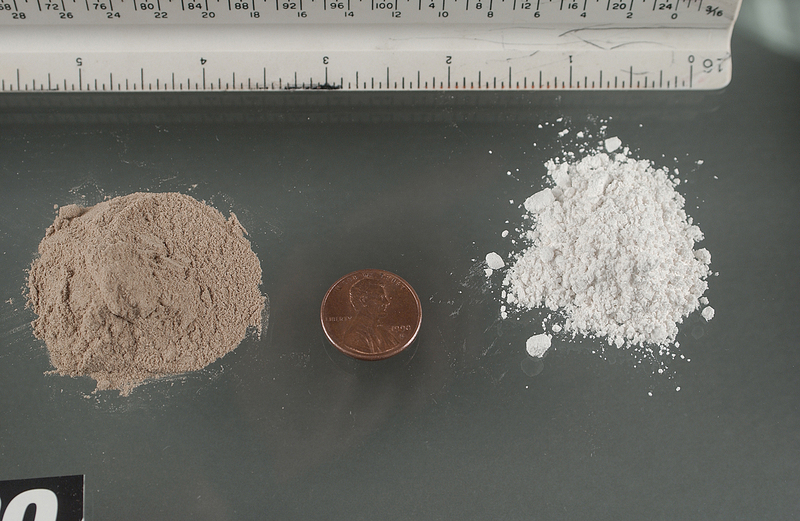 Two types of powder heroin. 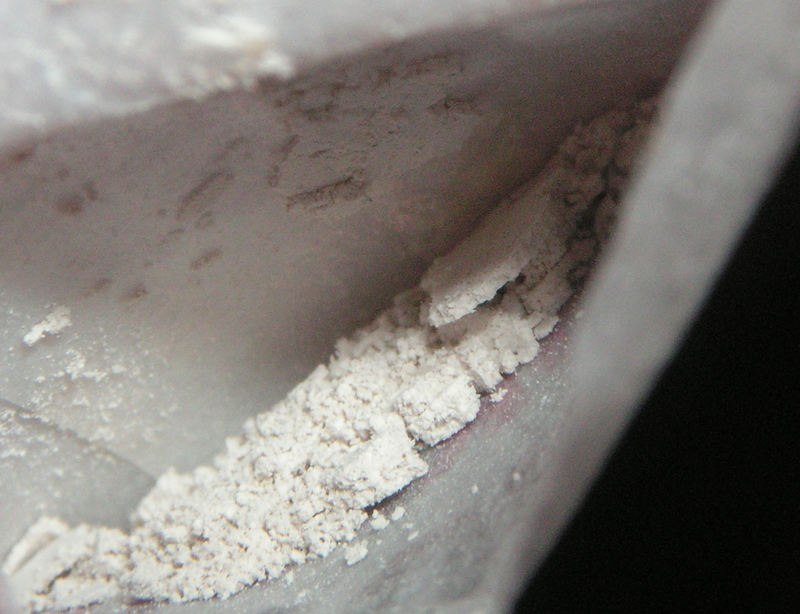 White powder heroin in a stamp bag. 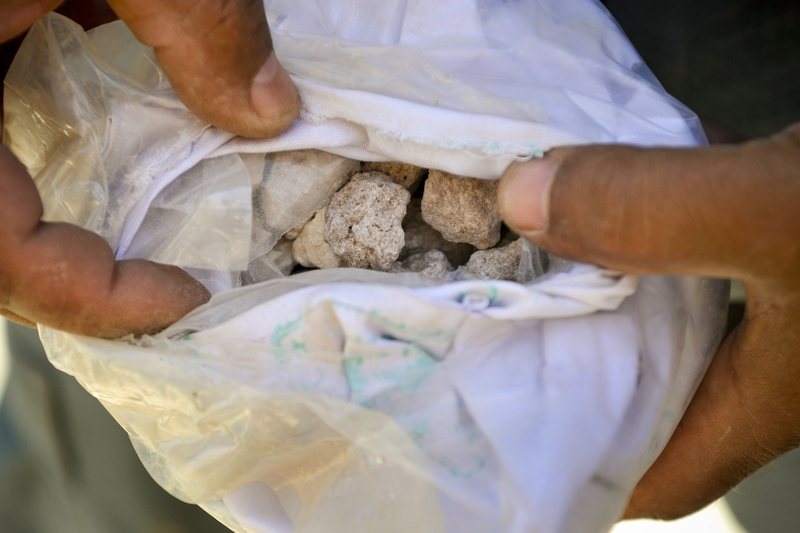 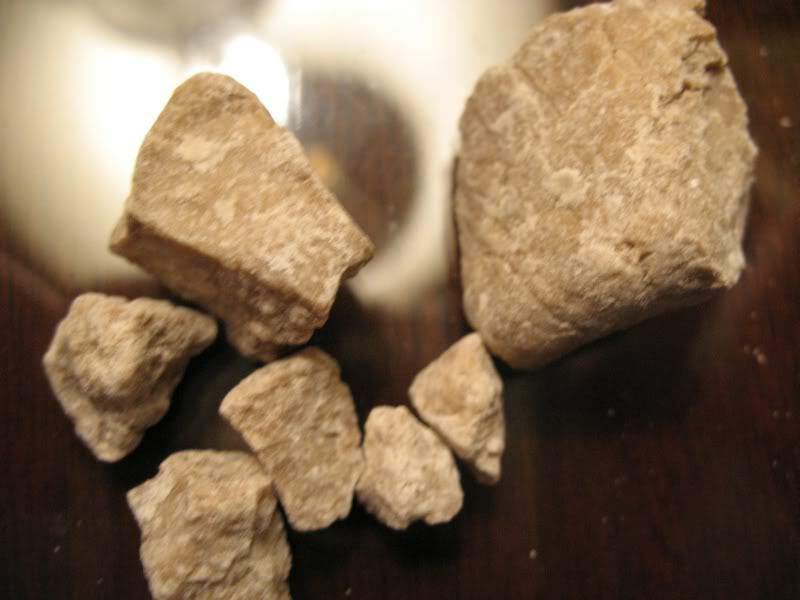 Several grams of powder heroin compressed into chunks. 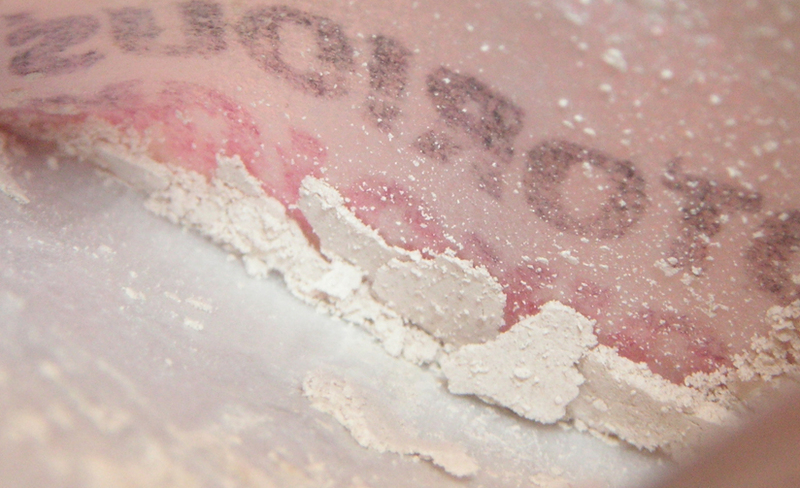 outside of the stamp bag is partially visible.